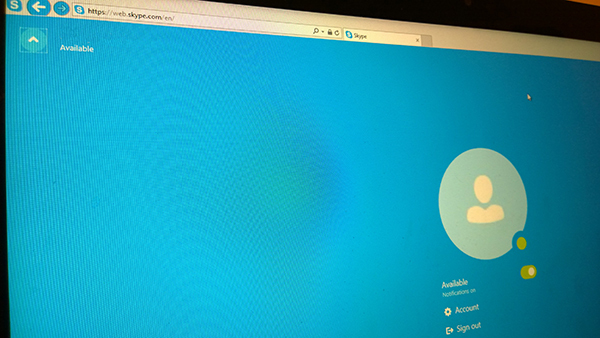 Microsoft has Skype apps available across almost every desktop and mobile platform. But not everyone wants to install and run the heavy-handed client. The solution - Skype web - which is now available to anyone in the US and UK, without the need of installing the regular Skype client. The new web client, at web.skype.com, loads your latest conversations, so you'll see any messages you've recently sent or received, whether it was from mobile, tablet, or desktop. The web client also introduces a new timeline view, a searchable list that combines contacts and recent conversations to make it easy not only to find old conversations but start new ones. You will be able to make and receive Skype video or audio calls, but you'll need to install a plugin to your browser (IE, Chrome, Safari, and/or Firefox). You'll also be able to, with an opt-in, get notifications, "even if you’re using another app or viewing a different website in another browser window". While customers in the US and UK can check out the new Skype for Web client, the service will be rolling out worldwide "in the next few weeks".